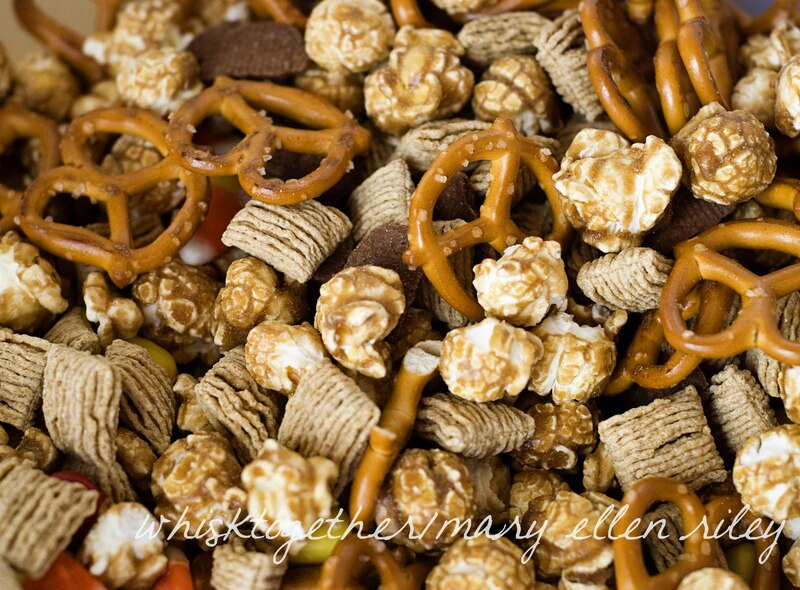 This is a fun snack for Fall – it really looks and tastes like Fall. Great for parties or divide up as a snack or hand out in pretty cellophane bags. This recipe makes a LOT! It filled up my two huge salad bowls if that gives you an idea of how much it makes. Next time, I would mix it all in my large roasting pan and then put into pretty bowls – a lot easier that way. There are a lot of combinations, so it is really versatile. If this is for homeschooling or a classroom setting, you could make a graph of each ingredient and then the kids could graph how many each of them have in a bar graph! Here is a link to more on that idea.